About Us | Childcare in NC | Academy of Spoiled Kids, Inc.
To spoil your child with the best of early childhood education is our goal. Academy of Spoiled Kids, Inc. is a center of early childhood education in Greensboro, North Carolina, catering to families in the surrounding area. We provide a variety of programs that give children the opportunity to learn new things and develop new skills in a fun way. We are dedicated to your child’s early development. We spoil kids with educational learning activities and fun. The Academy offers quality structured academic programs that stimulate your child at each level of growth. It is our mission to provide a safe and nurturing environment for all kids. 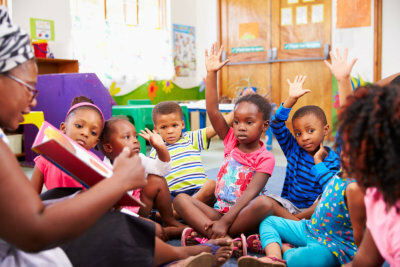 It is our goal to be a leading provider of childcare education in Greensboro, North Carolina, bringing more children to an experience of fun and engaging learning. Learn more about the academy by calling 336-856-7001.